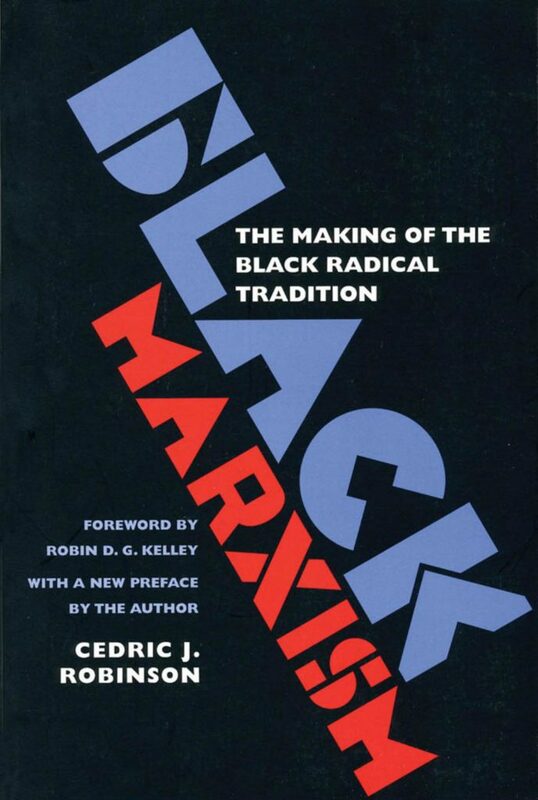 This is the final day of our roundtable on Cedric Robinson’s book, Black Marxism: The Making of the Black Radical Tradition. We began with introductory remarks by Paul Hébert on Monday followed by remarks from Joshua Guild on Tuesday, Jennifer L. Morgan on Wednesday, Carole Boyce Davies on Thursday, and Austin McCoy on Friday. In this post, historian Robyn C. Spencer offers concluding remarks for the roundtable’s discussion of Cedric Robinson’s vision of the Black radical tradition. Robyn C. Spencer is a historian that focuses on Black social protest after World War II, urban and working-class radicalism, and gender. She teaches survey and seminar courses on Black history at Lehman College, City University of New York. Her book The Revolution Has Come: Black Power, Gender, and the Black Panther Party in Oakland, on gender and the organizational evolution of the Black Panther Party in Oakland is forthcoming from Duke University Press in November 2016. Her writings on the Black Panther Party have appeared in the Journal of Women’s History, Souls, Radical Teacher and several collections of essays on the 1960s. In 2016 she received a Mellon fellowship at Yale University to work on her second book project: To Build the World Anew: Black Liberation Politics and the Movement Against the Vietnam War. This project examines how working class African Americans’ anti-imperialist consciousness in the 1950s – 1970s shaped their engagement with the movement against the Vietnam War. Follow her on Twitter @racewomanist. Being tasked to re-read and re-consider Cedric Robinson’s Black Marxism: The Making of the Black Radical Tradition in the week that Donald Trump has ascended to the presidency of the United States feels like being given a tank of oxygen. Robinson’s tome provides a sweeping overview of Western Marxism and traces the evolution of Black resistance to racial capitalism. As Joshua Guild points out, the breadth, scope, and range of Robinson’s analysis almost ensures that his readers’ comfort zones are fleeting. It is a demanding text. But in the urgency of this particular political moment the footholds and guide posts come more handily. While it is never wise to read a scholarly work backwards, the forward-looking nature of Robinson’s work provides many moments where the distance between the “then” and the “now,” the “what was” and “what could be” come into sharp focus. As someone with roots in rural Guyanese villages and in Brooklyn neighborhoods, who has visited or lived in almost half a dozen African countries, I found flashes of my-selves mirrored in this work. Some of these selves existed as “known” collective selves held close in resistance to what Robinson has called “the intellectual weight and authority of the official European version of the past” (p. 245). Frameworks which center the ‘agency’ of the ‘subaltern’ never managed to upend this weight and authority. But Robinson liberates these selves by restoring them to history and more importantly, restoring them to theory. His sweeping vistas and grand arcs of history, and the storytelling that sometimes spans continents, makes a shared vision, a tradition, manifest. When Robinson reminds us that Gramsci’s hegemonic class rule was “never to be more than a momentary presence” and “whatever forms primitive accumulation assumes, its social harvest would also include acts of resistance, rebellion, an ultimately revolution” (p. 219), it affirms in ways that “the arc of the moral universe is long, but it bends towards justice” the popular meme—and sentiment—that circled on social media in the wake of a Trump victory never can. 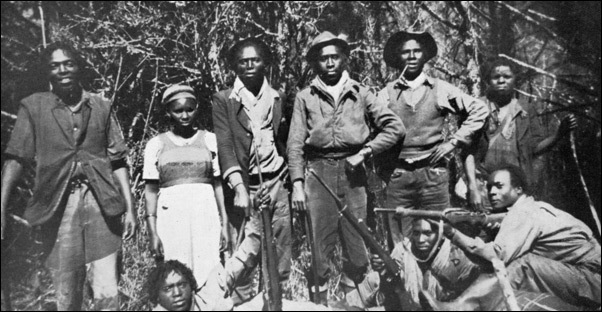 Robinson provides an archive of struggle, the history and possibility of insurgency. He returns us to the much maligned and misunderstood African, too often “obliterated by modern Western thought” (p. 96). 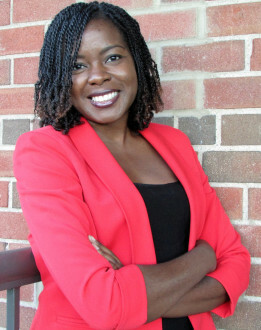 As Jennifer Morgan’s post notes, scholars continue to create frameworks that “fail to fully situate Africans as people who enter into captivity with a wealth of history, knowledge, experience, and worldview firmly in place.” Robinson insists an African personhood re-framed, re-dressed in the garb of political resistance from the slave trade to Africans in Mexico to the Mau Mau rebellion in the mountains of Kenya. It is a tradition laid bare that reminds those of us embroiled in debate over the history of Nat Turner and its representation on screen, that Nat Turner was one of many if we turn our gaze globally. Robinson’s work is not without flaws. As Carole Boyce Davies reminds us, Black Marxism is unequivocally about men. Despite the archives thick with depictions of Black left feminists, Robinson’s work is weakened from its lack of engagement with gender. Yet, like Davies, I recognize his position. It is the familiar. Perhaps it is a survival strategy particular to Black women intellectuals and activists to be able to bend mirrors and frameworks in ways that include us even when its architects do not have us in mind. I still saw myself in Robinson’s work. The same way I see myself in the male dominated histories of the Black freedom movement, the history of the left, and the history of political theory. I see myself in the absences and silences, I write myself in places I belong and I take things apart and put them back together in ways that give me voice and life. Typically, books are never the same after this remix. It is exhilarating and exhausting intellectual labor. Had Robinson centered women in ways that do not just “add names” it would raise questions such as: what would a history of diasporic resistance look like that centered the power dynamics of the kitchen, that engaged body politics, that sought theory in the cumulative actions of unlettered women, that engaged the gender of men, and took up the women who served as intellectual architects of anti-capitalist praxis? What about sexuality and what would it mean to queer Black Marxism? The potential of these questions are ripe in his work but ultimately the reader must go elsewhere for these answers. Yet working alongside Robinson’s work remains possible as some of his insights speak to this particular political moment. Scholars such as Ruth Wilson Gilmore, Robin D. G. Kelley and Walter Johnson have written about Robinson’s conception of racial capitalism, a term that has increasing currency in its ability to describe the current racial and economic order. And although the current generation of activists have eschewed the doctrinaire ideological politics of the 1960s and its labels, Robinson’s work supports attempts to re-cover and re-center ideological analysis in a way that serves contemporary movements. It demonstrates that ideas matter. Black Marxism remains a provocative juxtaposition. Concrete study of the ideologies of 1960s activists have remained elusive as a focus on actions have trumped any study of ideas. Austin McCoy’s post demonstrates the long history of the suppression of the Black radical tradition. This is evident in the realm of ideas. In the history of the Black Panther Party, this means that a focus on armed self-defense, shoot outs and social programs have figuratively and literally trumped desperately needed analysis of the Marxist ideologies guiding these actions. It also means that Black Power too often starts and ends at US borders and is unconnected to larger, global currents of struggle or intellectual traditions in the Caribbean or Africa. 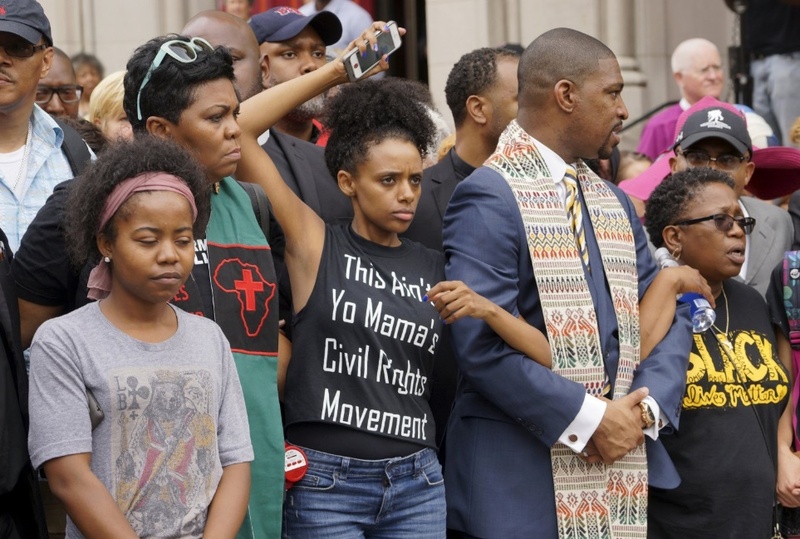 While scholars complicate these narratives in our monographs, and create syllabi to educate the general public, the k-12 system continues to churn out narratives of Black protest where radicalism is marginalized or absent. In this context, and at this moment, Black Marxism holds some keys. Robyn C. Spencer is an Associate Professor of History at Lehman College, City University of New York. She is the author of The Revolution Has Come: Black Power, Gender, and the Black Panther Party in Oakland (Duke University Press, 2016). Her second book project, To Build the World Anew: Black Liberation Politics and the Movement Against the Vietnam War, examines how working class African Americans’ anti-imperialist consciousness in the 1950s-1970s shaped their engagement with the movement against the Vietnam War. Follow her on Twitter @racewomanist. This series has been wonderful!!!! I have a lot to learn and will go back and reexamine the entire series…. Thank you for this site …. You’re welcome. AAIHS has a tremendous archive. Enjoy exploring! This was a wonderful opportunity to re-engage Cedric Robinson’s meaning as himself a black radical intellectual. This is an intellectual position that needs more re-activation for subsequent generations. A former Howard University African Studies grad school classmate has a provocative essay which captures many of the debates around Black Marxism in the immediate wake of its publication that I would recommend to readers of this forum. There, he saw it as important to make a distinction between the “Black” In Black Marxism as (a) a descriptor for particular practitioners of Marxism who identify as Black and (b) a certain type of political philosophy which, coming out of black experience, offered a different inflection that accounts for the condition of black people internationally. (John H. McClendon III, “ Marxism in Ebony contra Black Marxism: Categorical Implications” Proudflesh issue 6(2007). http://www.africaresource.com/proudflesh/issue6/mcclendon.html. At this point in history, the debates and the needs are different but not any less salient. In fact some would argue that with Trumpism we have have a combination of old and new forms of racial/class/gendered oppression. A re-engagement with Black Marxism, even as we “see” ourselves in it as Robyn Spencer’s response indicates, means also pushing its meanings into the present, with new inflections and meanings. Thank you for this comment. I was not able to find the article mentioned online but I found other writings by and about John H. McClendon III, especially around Black Studies and the left that were really provocative. However, though my route is somewhat different from McClendon’s, my conclusions are substantially the same. As Marxism is wiped from the intellectual scene, we are served the pauper’s broth of left bourgeois thought, of West, Mills, Robinson, Collins, of prophetic pragmatism, intersectionality, womanism, whiteness, and privilege politics. Most of these thinkers and ideas have increasing currency among the self defined Black left today. Although I wouldn’t define these thinkers as serving up “a paupers brew” this critique points to the continued need to engage with Black Marxism, the book and the concept. And it would be great to bring this into a direct conversation with Black left feminism and intersectionality. Hint, hint to AAIHS. A roundtable on intersectionality would be welcome in 2017! Finally, McClendon’s work here John H. McClendon III, “ Marxism in Ebony contra Black Marxism: Categorical Implications” Proudflesh issue 6(2007) is best found here: http://www.africaknowledgeproject.org/index.php/proudflesh/article/view/162. Always best to read people in their own words and I put it on my list.